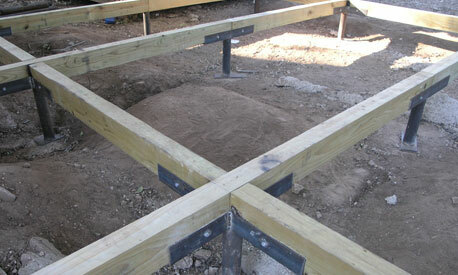 Identifying the six extremely common problems with pier and beam foundations is important. Building houses with pier and beam foundations is extremely common because it’s a foundation that’s popular in the Dallas, Fort Worth, TX areas. That’s because these foundations are generally stable. Sometimes foundation repair may be required on a pier and beam property. The foundation repair process used varies depending upon which foundation repair company is doing the work. Pier and beam foundation repair service is exceedingly common in Dallas, Fort Worth because it’s effective. (1) Sagging floors and shifting beams.When your structure is sinking or settling, all kinds of problems develop. One solution: Install shims, piers and foundation supports. (2) Tilting piers and building issues. This can contribute to foundation failure because it can cause your beams to move. One good solution: Stabilize all foundation piers. (3) Concrete piers are collapsing. This will make your foundation uneven and cause cracking in beams and your foundation. 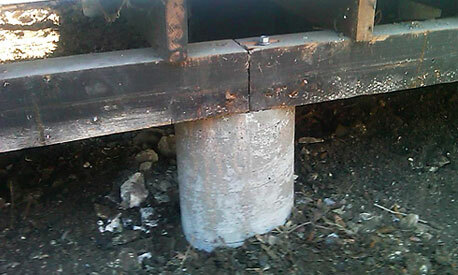 One solution: Adjust concrete piers to stabilize your structure. (3) Cracking exterior piers. Door frames that can get out of kilter because piers have given way or beams are moving. This is a normal drawback to these foundations and the issue is regularly solved by installing shims and new beams. One solution: Replace exterior piers. (4) Poor construction. Unfortunately, we’re very familiar with this problem in pier and beam structures. One solution: Raise your foundation and joists. (5) A damp crawlspace. Pier and beam houses ordinarily have moisture problems. When complications such as this arise. One solution: Perform foundation drainage correction service. (6) Mold and mildew in beams. This is a very common form of trouble that ruin your wooden beam and joists.One solution: Extract the wooden members and replace them. Shimming will also be needed on these buildings. The Process Of Foundation Repair With A Pier And Beam Foundation Is Different From That Of A Concrete Slab Foundation. For expert pier and beam foundation repair service, call HD Foundations for assistance with repairs. We perform pier and beam foundation repair on cracked properties in addition to slab foundation repair, and are professional foundation repair contractors. Contact HD Foundations about your common pier and beam foundation.